There has been plenty of ice-hockey action to keep Australia’s online betting fans entertained over the past few months, as the North America’s NHL teams battle for the Stanley Cup. 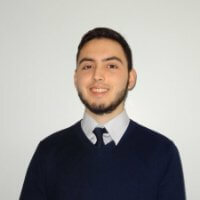 The past week was particularly exciting, as the Eastern Conference Finals saw two teams fighting all the way to the finish, over the full seven ties. As the only Canadian team surviving in the tournament, the Ottawa Senators had everything to play for, and they started off the first tie of their Conference Final against the Pittsburgh Penguins with a win in the Penguins’ home city. The Philadelphia team then came back immediately to win the second tie. 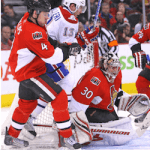 The Senators won game three to get back in the lead, but the Penguins equalised again in tie four. The Pittsburgh team went ahead for the first time in tie five, but then it was the Senators’ turn to claw back to even scores. Finally, on Thursday, back in the Pittsburgh Paints Arena where their Conference Final started, the Penguins managed to win the decider 3-2, thanks to a goal in overtime by Chris Kunitz. As a result, the Penguins are now the 2017 NHL Eastern Conference Champions, and they go through to compete in the seven-match finals of the 2017 Stanley Cup. 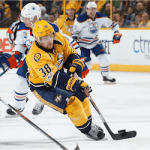 The NHL Western Conference Final had been decided on Tuesday already, in the sixth match between the Nashville Predators and the Anaheim Ducks. Once again, the first four ties followed a familiar pattern: the Predators winning, then the Ducks drawing level again in the next game. But then the Nashville side kicked it up a gear, beating the California team 3-1 and 6-3 in succession, and clinching the Western Conference Championship without the need for a seventh tie. The Stanley Cup Finals are scheduled to run until Monday, 12 June, although they could finish earlier, as soon as one of the finalists racks up four victories. Punters will be able to assess how likely that is when the Penguins and the Predators face off in the first tie of the Finals on Monday, 29 May. For the first time in 44 years, and much to the delight of both the team and the legion of fans, the Capitals have won the Stanley Cup, beating Golden …. Writer Urges Olympics Boycott of NHL Montreal sports journalist Jack Todd has had enough of the disrespect he reckons the NHL has shown to Canadian ice hockey fans. In a …. 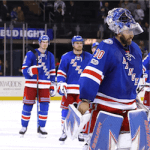 Rangers Go Down to Blackhawks at Home Ice hockey fans have been given a bit of a rollercoaster week by the New York Rangers. Wednesday night was a downer, when …. Celebrating NHL Winter Classic’s Triumphant 10th Birthday When the Buffalo Sabres took on the Pittsburgh Penguins in the first NHL Winter Classic at Ralph Wilson Stadium on January 1, 2008, …. 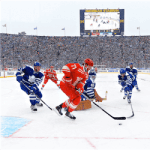 NHL 100 Classic Celebrates More Than Hockey Ice hockey fans joined Canada to celebrate its 150th anniversary at the NHL 100 Classic on December the 16, which was also dedicated ….